This charity is looking for a fundraising volunteer - could it be you? A Horsham based charity is on the hunt for a fundraising volunteer. Horsham and Crawley Samaritans have launched a campaign to recruit a collection coordinator. Director of the charity, Kevin Hawkes said: “This post is absolutely to vital to our branch. The position won’t have set hours and the person does not need to be a listening volunteer. Kevin added that commitment will depend on the nature and timing of events. The main purpose of the role is to coordinate collections on behalf of the Samaritans to help raise vital funds. Kevin said: “We need someone who is enthusiastic and committed, friendly and approachable, willing to learn about our mission and values and be able to work as part of a team. “The person who takes on this voluntary role would help us to promote the goals and messages of Samaritans, as well as planning, overseeing and evaluating our fundraising activities. 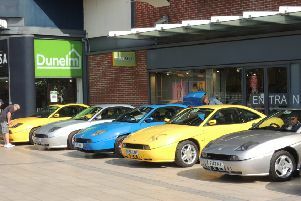 Some current fundraising takes place outside shops, in town centres, at garden centres and at events. The individual would help build relationships and networks with local businesses.